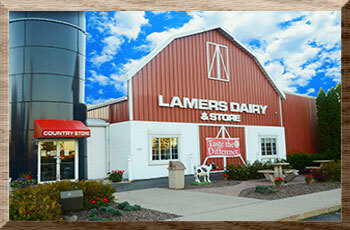 Lamers Dairy is a family owned and operated dairy in Appleton, Wisconsin. Since 1913, five generations of the Lamers family have taken pride in producing the highest quality milk and other dairy products. Lamers Dairy products are distributed under the Dairyland’s Best name. Lamers Dairy gets all of our milk from just a few carefully chosen family farms located within 30 miles of our dairy. We pay our local family farmers more for providing higher quality milk from healthier cows. Lamers Dairy pays our local family farmers an additional incentive not to use hormones that artificially stimulate their cows to produce more milk. Lamers Dairy Dairyland’s Best milk has never contained artificial hormones and never will. Our family farmers sign a notarized affidavit that promises they will never use artificial hormones like rBGH or rBST. 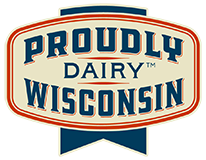 In 2016 and 2015 Lamers Dairy Dairyland’s Best milk won First Place for Whole Chocolate and in 2013, First Place for White Milk in the prestigious World Dairy Expo Championship Dairy Product Contest. Lamers Dairy Dairyland’s Best milk goes from the farm to table in the shortest amount of time giving you the freshest milk possible. Lamers Dairy Dairyland’s Best milk is usually bottled and available for purchase within hours of being picked up from local family farms by our own Lamers Dairy bulk milk truck. Our own route drivers then deliver it to grocery and convenience stores throughout the Fox Valley from Green Bay to Oshkosh. Lamers Dairy Dairyland’s Best milk and other dairy products can also be purchased right at the dairy in our Lamers Dairy Country Store.